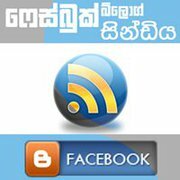 This entry was posted by Sanjaya on November 3, 2010 at 1:33 am, and is filed under Uncategorized, තාක්ෂණික, සිංහල. Follow any responses to this post through RSS 2.0.You can leave a response or trackback from your own site. තව සඳහන් කරන්න ඕනි ඉතාම වැදගත් දෙයක් තියෙනවා. ප්‍රදර්ශනය නරඹද්දි ඔබ දැක්ක හා ඡායාරූප වලින් ඔබ දකින පිරිසට අමතර බොහෝ පිරිසක් හිටියා මේ ප්‍රදර්ශනයට වැඩ කරපු. ඔවුන් තමා මේකෙ පාදම උනේ. දවස් ගානක් නිදි මරල වැඩ කරපු මේ අයව අනිවාර්‍යයෙන් මතක් කරන්න ඕනි. සුපිරියට ම තිබුනා කියන්නේ ආයෙ ඉතින් ලොවෙත් නැහැ එහෙම එකක්…..
ප්‍රදර්ශනය නම් විශිෂ්ඨයි. මටත් හුඟක් දේවල් ඉගෙනගන්න ලැබුන අලුතින්. මත භේදිතව තිබුන කරුණු නිරාකරණය කරගන්නත් ලුබුනා. ලංකාවේ පරිගණක පිළිබඳ උනන්දුවක් දක්වන අයට ප්‍රදර්ශනය නියමෙටම ගැලපුනා. ඉගෙන ගන්න තියෙන අලුත් ක්ෂේත්‍ර පිළිබඳ අදහසක් ගන්නත් එක්කම. Yes definitely iFo++ was the best Exhibition ever in Sri Lanka for ICT Domain.Thanks for mentioning about iFloor and this is nice article !